Compact action cameras can be very handy for shooting video or snapping photos during a number of activities. While you can spend hundreds of dollars on a camera just on its own, a number of budget options have become available in recent years that often provide a number of useful accessories. 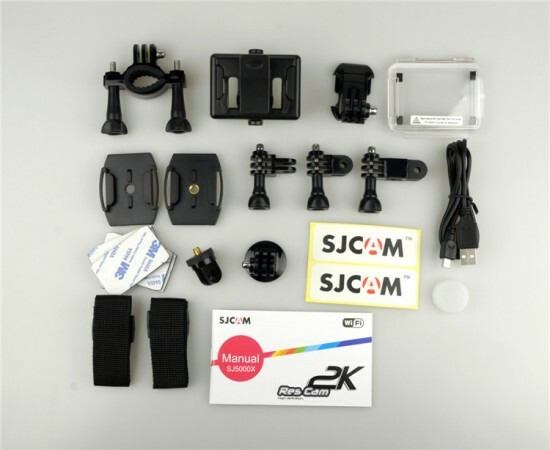 One such option is the SJCAM SJ5000X Elite, priced at $135 from sjcamsportusa.com. In comparison, a name-brand action camera with a similar set of first-party accessories would easily exceed $300 for an experience that is very adequate for most people. 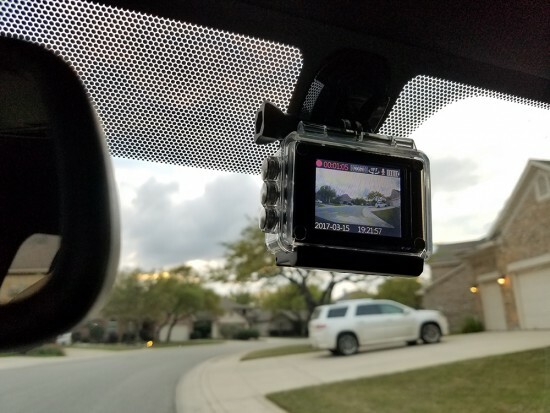 It’s important to note that GoPro accessories will work with this camera, which makes finding compatible accessories a breeze. In regard to specifications, the SJ5000X Elite offers a variety of both photo and video settings for you to fine-tune what you’d like to see. Operating the SJ5000X Elite is simple, but might not be obvious at first. To turn the camera, hold the power / menu button on the front until an SJCAM splash image is displayed on the screen. To begin recording or taking a photo, press the camera’s top button. This button also acts as an “accept” key when navigating through the menus while the front power / mode acts as a back button. There are up and down buttons on the right side in addition to a dedicated Wi-Fi button. The nicely-sized, 2″ screen is found on the back, battery door is found on the bottom, and ports and the micro SD card slot on the left. A number of photo and video modes are available, including time lapse, underwater, dash cam and more. Each mode includes several image-specific options, such as stabilization, exposure, white balance and resolution. During testing, each mode worked as they should and did disappoint. Battery life when recording videos is between an hour and 90 minutes, and you can continue operating the camera while it’s being powered via USB. Recharging does take some time, but additional batteries are relatively cheap to acquire. Onboard Wi-Fi capabilities are limited, but can be useful for some. I was able to successfully transfer photos to my phone via the ad-hoc Wi-Fi network, but videos would result in broken, zero-byte files. You are able to view a real-time feed of the camera through your phone and adjust settings, however. The file transfer issue may have been due to the app, though. You can even use the camera as a web cam when connected to your computer via USB. Quality maxes out at 1080p at 30FPS and audio is supported. There is some latency, but with some offsets, it might just work fine for most. 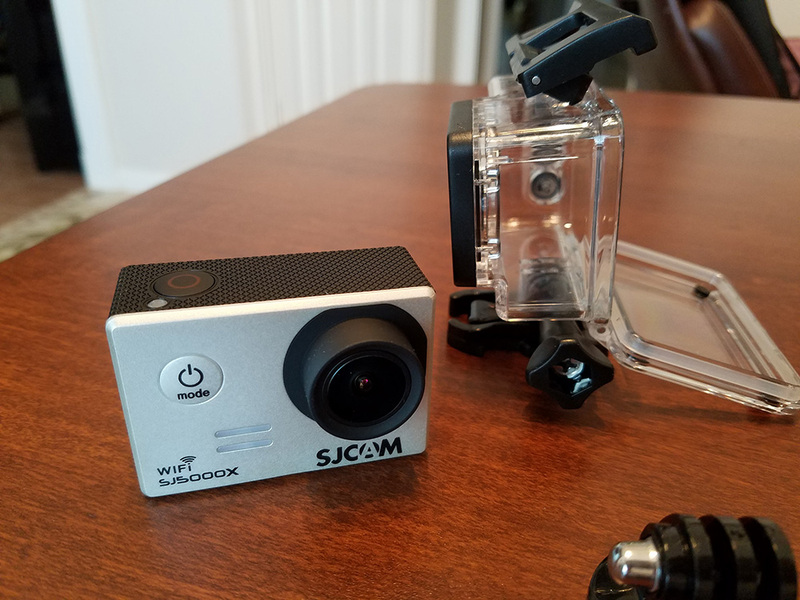 Of course, the most important part of a budget action camera is its photo and video quality. The best way of judging that is to view the video review above, as there are several sample 1080p60 clips as well as some photos. In short, while all of the video resolutions weren’t as crisp or sharp as even content from your smartphone, they were still incredibly respectable and offers more than enough beauty for sharing online. Photos contained additional detail versus videos and generally looked pleasant. Motion blur becomes an issue in very low light situations, but is otherwise a non-issue in dim-to-outdoor lighting. Audio capture could be better, but this type of camera likely isn’t something you’d be talking to anyway.